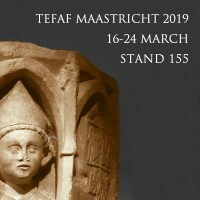 Also this year, the Alessandro Cesati Gallery will exhibit at TEFAF Maastricht (March 16-24, 2019) for the 21st time, offering a new selection of important Sculptures and Works of Art in a two-rooms stand: the first room will be dedicated to the Middle Ages and the Renaissance, and the second to Baroque Era. 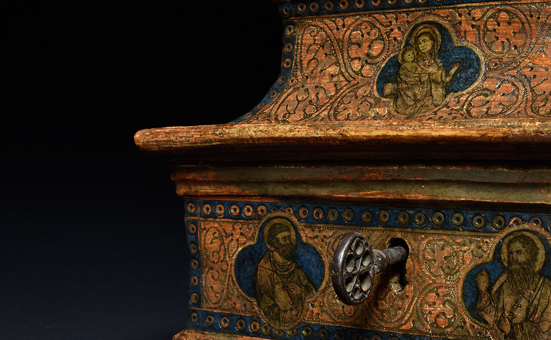 At the center of the first room of the stand, the Gallery will proudly present a little and extraordinary Sienese Casket of the mid-14th century, whose great importance has led to the publication of a dedicated book, with contributions by Prof. Andrea De Marchi and Dr. Chiara Guerzi: a treasure casket for small and precious objects, considered the oldest example among the so-called ‘pagoda-shape’ caskets, and attributed to a Sienese artist in the circle of the Lorenzetti brothers and close to Lippo Vanni. 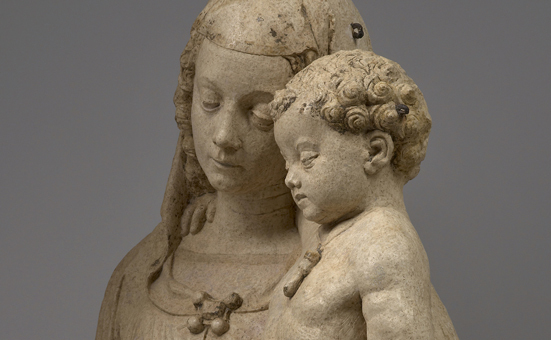 Among the many stone sculptures, one will admire a charming Madonna of the Book by Cristoforo Mantegazza (Milan, 1429-1479) – one of the most important artists of the 15th-century Lombardy, and Galeazzo Maria Sforza favourite sculptor – whose provenance dates back to a famous and noble Italian collector of the second half of the 19th century. 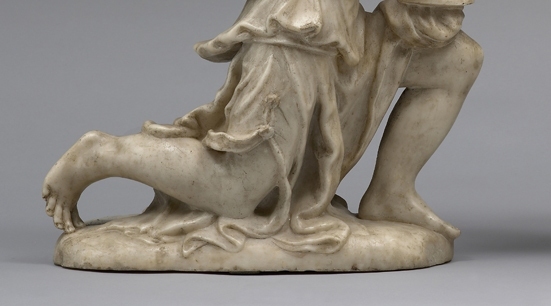 The work, of great gentleness and already known to scholars, has recently been restudied, recognizing in it a little masterpiece by this inspired Milanese sculptor. One of the the absolute new entries of this year is an unpublished and very well conserved Triptych with Scenes from the Life of Christ, of large dimensions, by the Embriachi workshop, active in Florence and Venice between c. 1370 and 1430, specialized in bone and ivory carving. 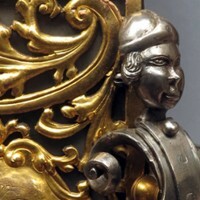 As usual, a very fine selection of fine ironwork, such as doorknockers and locks, will also be presented to collectors. 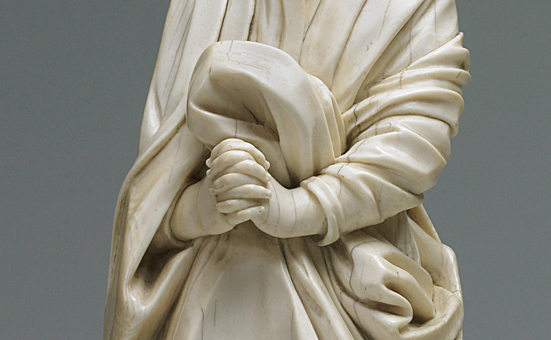 In the second room, mainly dedicated to works from the Baroque period, collectors will admire an intense pair of large-sized ivory sculptures depicting the Virgin and Saint John, recently reattributed to the hand of Johann Balthasar Stockamer (circa 1634-1700), a well-known German ivory sculptor who spent many years in Italy working in Rome for Cardinal Leopoldo de’ Medici. 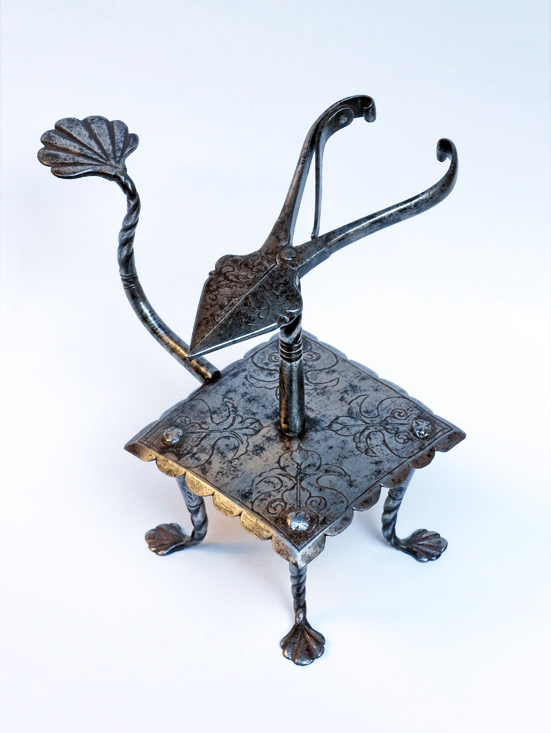 This curious and rare device in wrought and engraved iron belongs to the large category of table candlesticks and is also classified as Candle-by-the-hour Holder since it gave way to empirically calculate the candle flame duration. 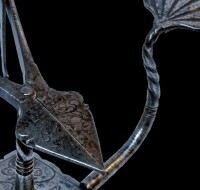 This refined object consists of a square-shaped and engraved plate, supported by four thin and partially twisted legs with shell-shaped feet; in the plate center there is a small decorated stem, on top of which there are a sort of elegantly fashioned and engraved spring scissors working as candlesnuffer. 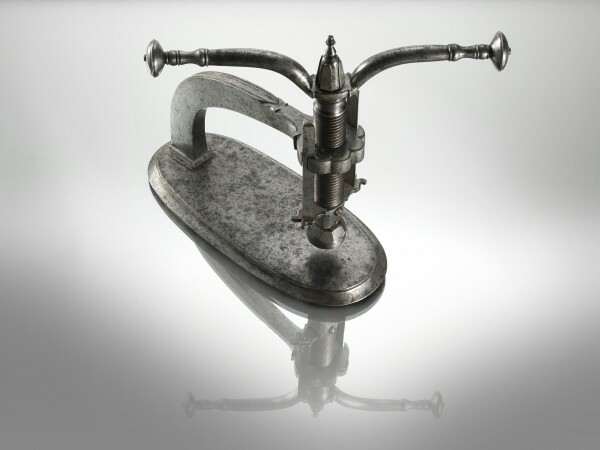 A shell-shaped handle, joint to the plate, was designed for moving the lamp from one room to another. A special candle was rolled up around the stem: a kind of waxed thread ball which end was secured between the scissors blades, protruding a few centimeters. Once the candle was lit, the flame burnt until reaching the scissors that put it out automatically. Assuming that an inch of candle could correspond to about 15 minutes of light, its duration could therefore be preset according to need, calculating the length of the candle sticking out above the scissors. A whole ball of waxed thread could last up to 70 hours, and this procedure also represented a way of economizing the candle consumption. 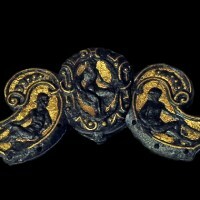 References : AA.VV., Antichi Strumenti dalla Collezione Nessi, Milan 2004, p. 334; Vittorio Fagone, Il momento artigiano: aspetti della cultura materiale in Italia, Milan 1976, p. 39; AA.VV., Objets civiles domestiques, Imprimerie Nationale, Paris 1984, p. 430, n° 2064. 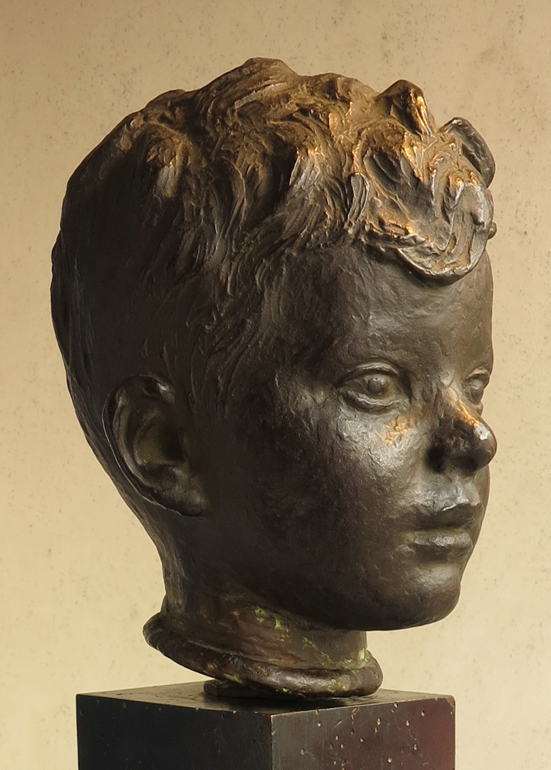 This beautiful bronze head depicts the artist’s son as an adolescent. The wavy hair, arranged on one side, partially fall on the forehead. The gaze ahead and the softly closed mouth transmit a feeling of innocent amazement, characteristic of that young age. 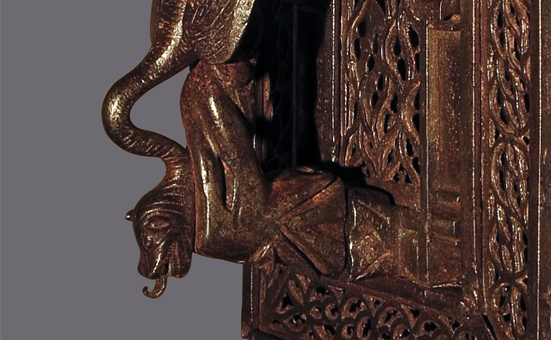 The bronze surface, gently rippled, softens the light recalling an impressionistic and “scapigliato” effect typical of other sculptors of that period such as Libero Andreotti, Italo Griselli and Francesco Messina. 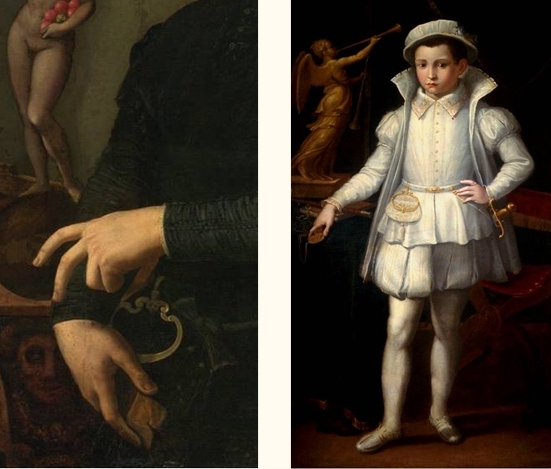 But here, in his confident pose and in the attentive look, one can find the energy and the potentiality of a young adult, so appreciated in the boys of those years, together with an ephebic beauty recalling classical aesthetics. 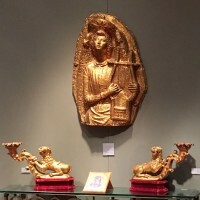 Baglioni, and the Italian sculpture of the Thirties in general, look for a renewed humanism by looking at the ancient art. 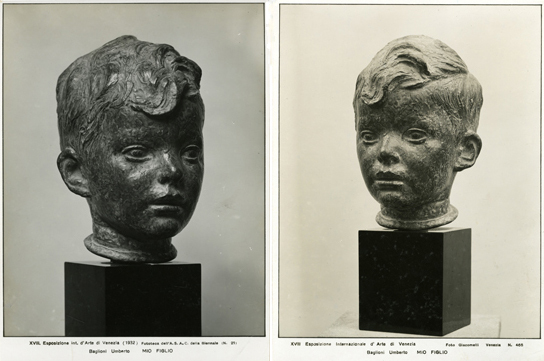 At his first Venice Biennale, the 18th edition held in 1932, Baglioni exhibited two sculptures in Room 19, one of which is precisely the present one: this is attested both by a label with the title of the work, still pasted under the original wooden base, and by two photographs taken on that occasion now stored at the ASAC (Archivio Storico dell’Arte Contemporanea, Venice). Umberto Baglioni, born in Calabria (Scalea 1893), moved to Turin in 1917 where he studied with Edoardo Rubino at the Accademia Albertina, initially close to the “Scapigliato” and Liberty taste of the rich and lively Turin of those years and then approaching the roman Neoclassicism. Already praised in 1919 for “the ability to reach high peaks and to wrap the work with a mystical veil”, around 1920 he opens his own studio. 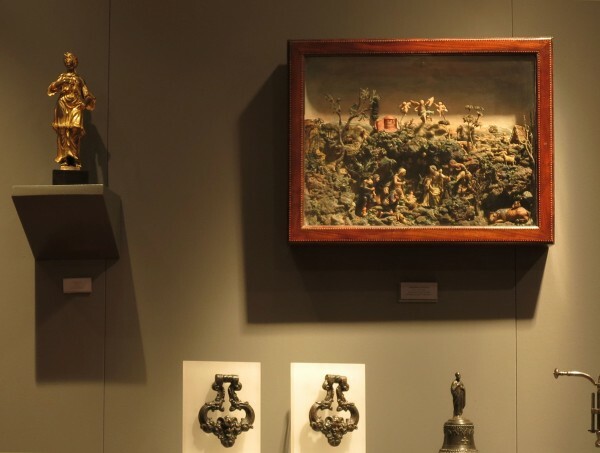 He participates in the Venice Biennale six times since 1932; in 1942, he even deserves an entire room where he shows eleven sculptures and the critics write: “Napoleone Martinuzzi e Umberto Baglioni respirano un’atmosfera più calma, vivono in un mondo più sereno, dove il sentimento è contenuto e dominato dal gusto; la loro Musa […] (è) Tersicore, musa dall’agile passo e dell’equilibrio difficile” (Le tre Venezie, 1942, p. 263). 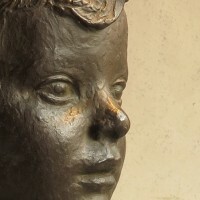 In 1936 he inherits the chair of his master Edoardo Rubino at the Albertina and in 1937 after winning a competition among 56 artists, he achieves in Turin one of his best known works: the pair of fountains with two big marble sculptures depicting the Po and the Dora Rivers, with an outcome typical of the Italian 20th century Neoclassicism. 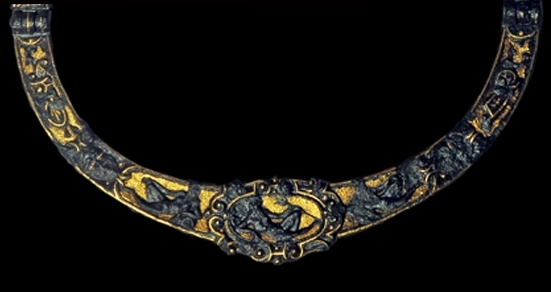 Exhibited at the 18th Venice Biennale (1932), as stated by a label under the base. 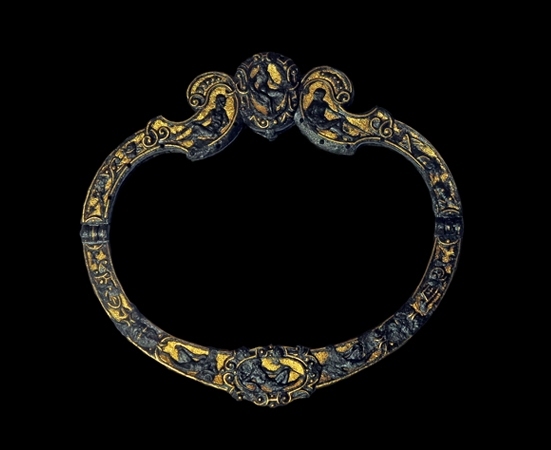 References: Enzo Le Pera, Arte di Calabria tra Otto e Novecento, Catanzaro 2001, p. 21; Marco Vallora, Dal divisionismo all’informale: tradizione, visionarietà e geometria nell’arte in Piemonte 1880-1960, Mazzotta 2011, p. 233.